Please note that unless stated our posters are printed with top quality inks on 280 micron photo-matt heavyweight paper. We take pride in producing quality products. If postage is required, it will be sent in a cardboard tube. The images below are not to scale and are all deliberately flawed to discourage copying. This item is printed on lighter weight paper than the other posters we stock. 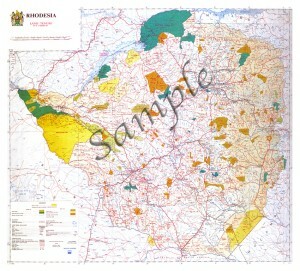 The main printed area is approximately 340mm x 230mm. The unprinted section outside the border line is larger than what is illustrated below. These 5RR RoHs were originally produced in 1979 in honour of those who gave their lives whilst serving in 5RR. They have been donated to us by Buck Jones who served in 5RR. 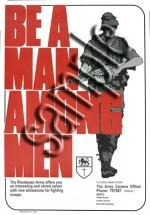 Rhodesian Army Recruitment Poster - "Be A Man Among Men". This is a reproduction of the original. There are others on the market of lower quality and on much thinner paper. This poster was made 'famous' when the 'Soldier of Fortune' magazine sold copies in the 1970's and 1980's. 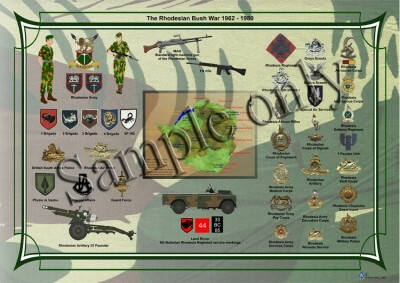 Measures approx 400mm x 575mm - A2 size. 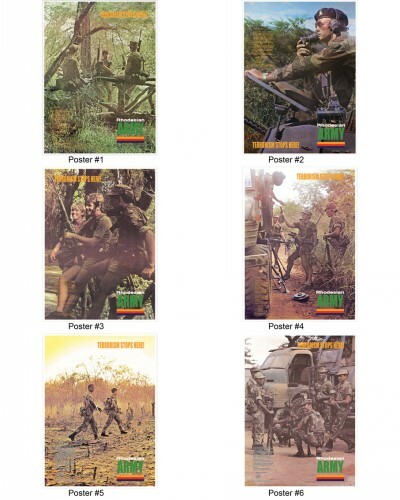 Rhodesian Army Recruitment Posters - "Terrorism Stops Here". Originals of these posters are exceedingly rare, so we have reproduced them in order that people can share a great piece of memorabilia at an affordable price. 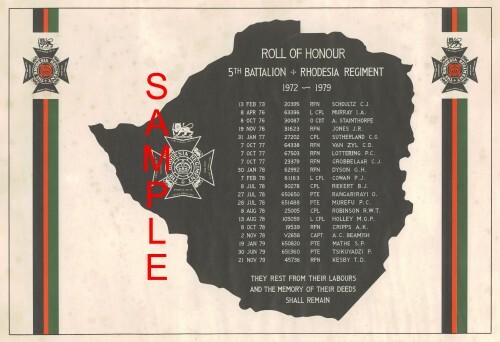 We have also reproduced the statement regarding Rhodesian Security Forces being professional soldiers and not mercenaries on the front of posters - on the original this statement was on the back and not generally visible. Each measures approx 750mm x 550mm. Price $60 each (or the full set of 6 for $325 saving $35) plus postage. When ordering please specify which poster you want. This detailed poster was designed by Dudley Wall and we have his authorisation to reproduce it for which we are most grateful. It is a great conversation piece and completely unique. Measures approx. 445mm x 620mm - A2 size so will fit a standard size frame. Map accurate as at 21st October 1977. This is a wonderful reproduction from a 30 year old map. It shows in detail the areas of European farming, TTL, APA, forest, National Park, rivers etc. This has been produced from a high grade scan and is far better quality and value than a similar item on the market. Measures 740mm x 670mm.